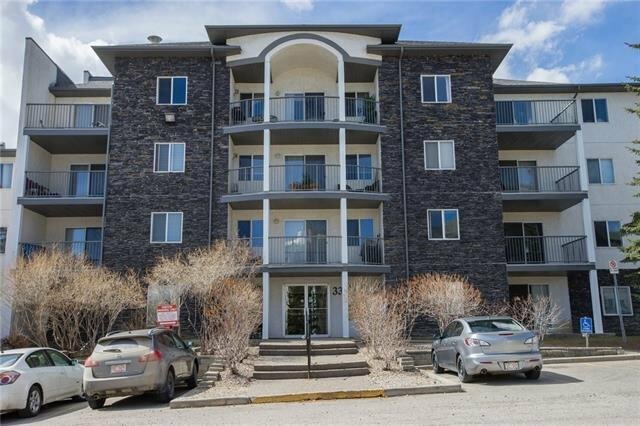 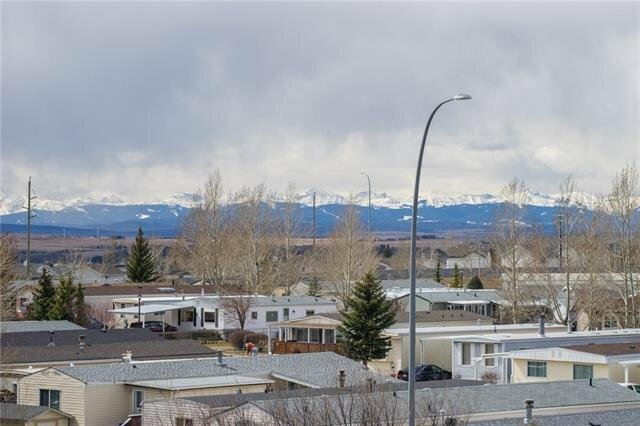 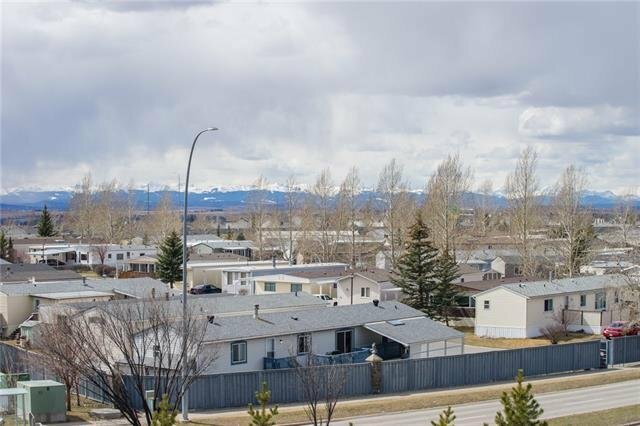 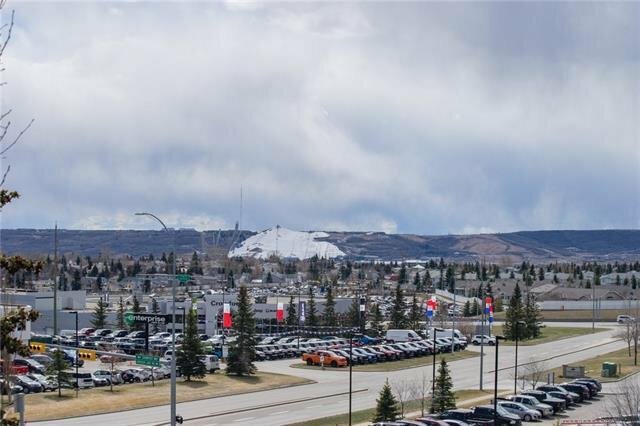 416 - 33 Arbour Grove Close NW, Calgary - 2 beds, 2 baths - For Sale Janet Preston/John (J.R.) Rogers - DISCOVER REAL ESTATE LTD.
Panoramic mountain & COP views! 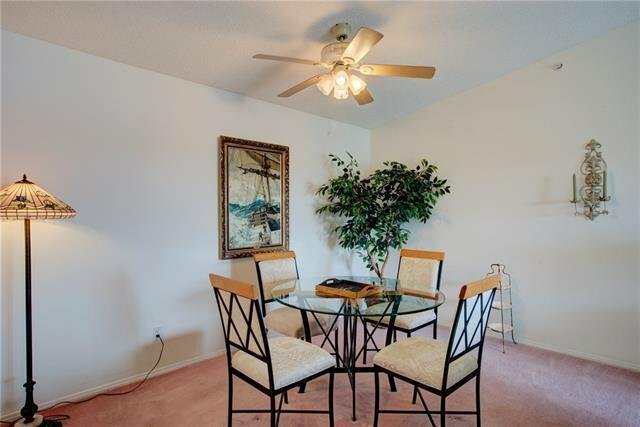 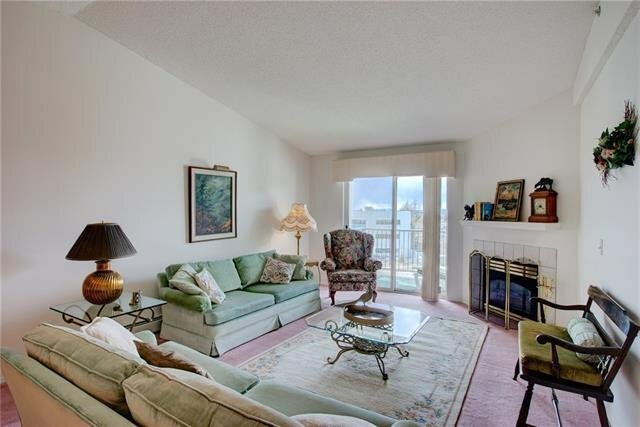 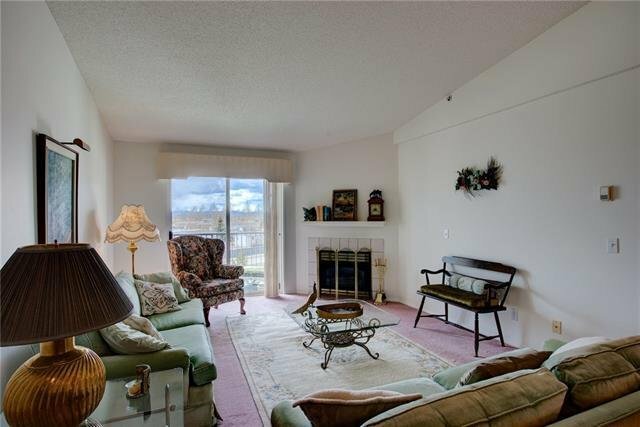 If you enjoy mountain vistas, this 2 bedroom condo is a 'must see' - there are great views from the balcony, bedrooms, dining area & family room. 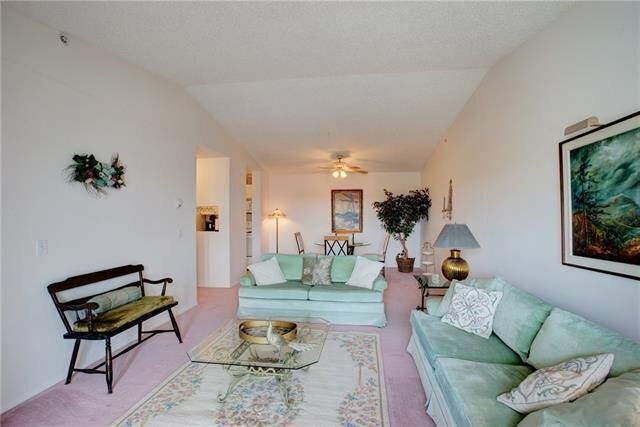 There is a vaulted ceiling & corner gas fireplace in the family room. 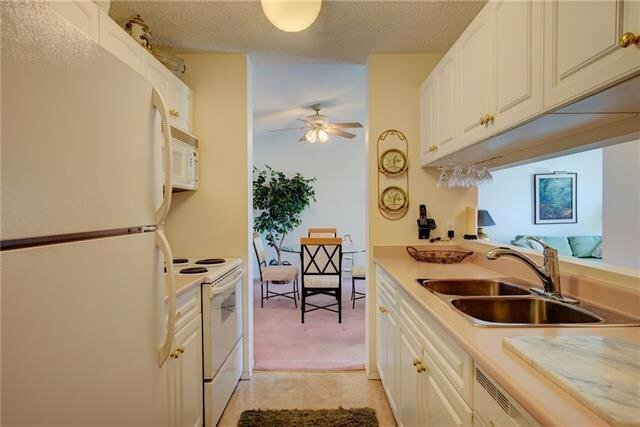 The galley style kitchen offers classic white cabinets, white appliances & a pass through opening into the hallway that makes the kitchen feel more open & connected to the rest of the living areas. 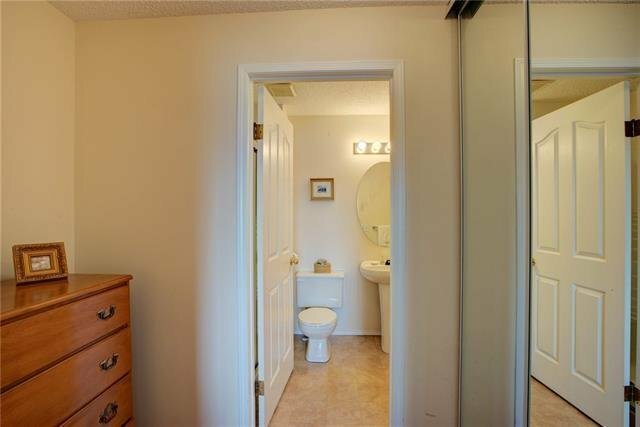 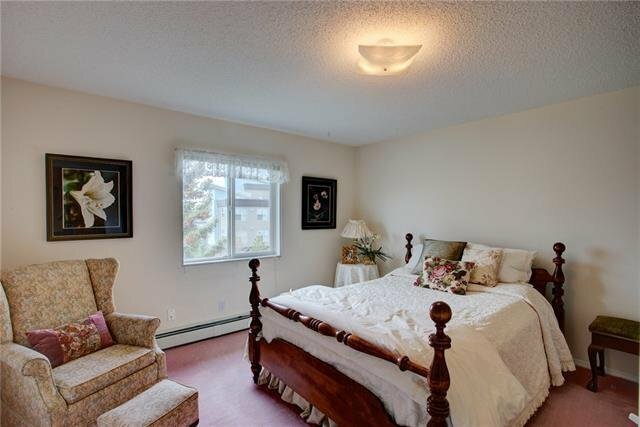 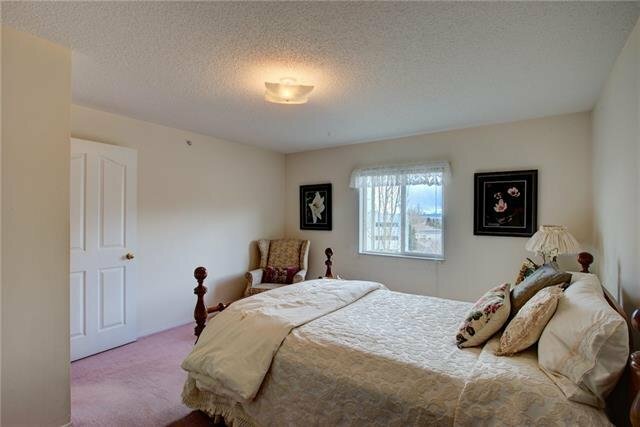 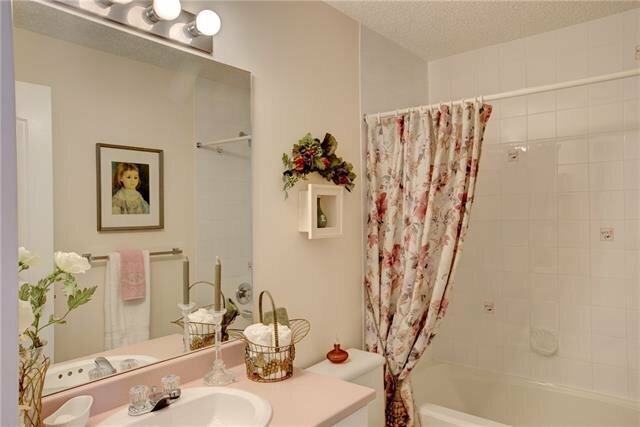 The master bedroom is spacious & has a walkthrough closet that leads to an ensuite with an oversize shower. 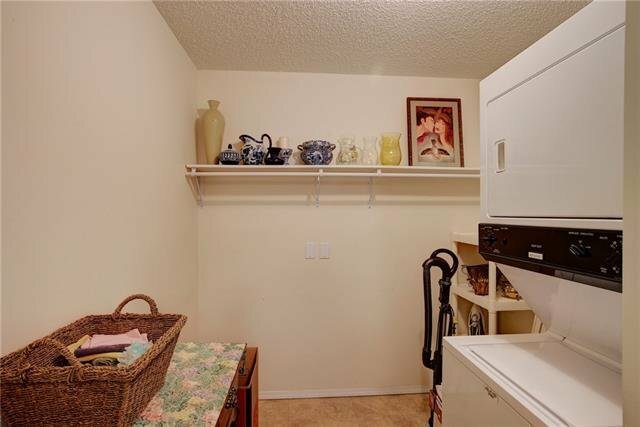 Stacking washer & dryer are conveniently located in the storage room in the suite & there is built-in shelving & rod for hanging clothes. 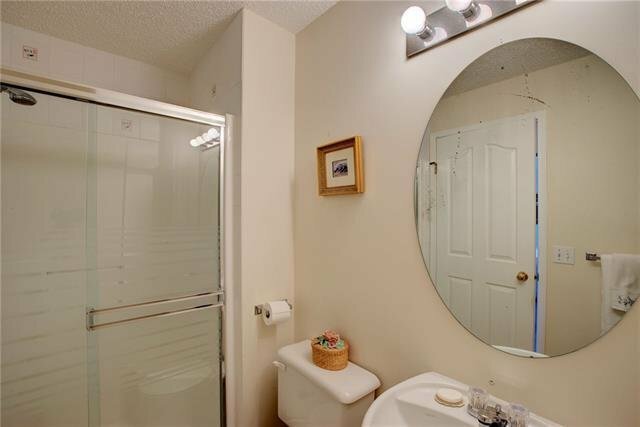 One titled, underground, heated parking space (stall #61). 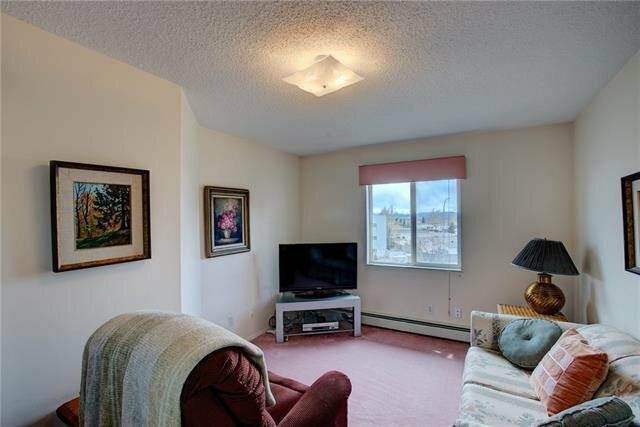 Condo fees cover everything except electricity (which usually ran around $40/month), cable & phone. 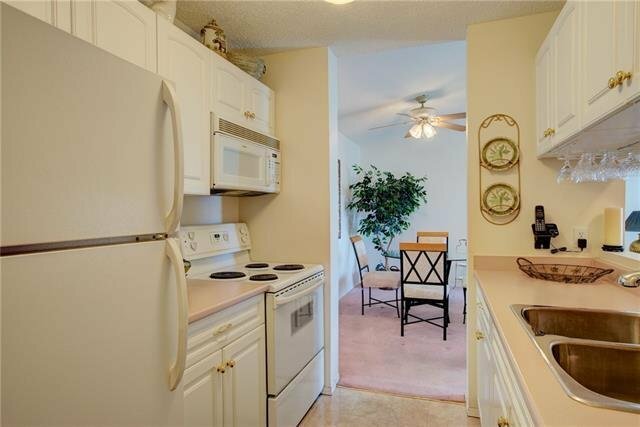 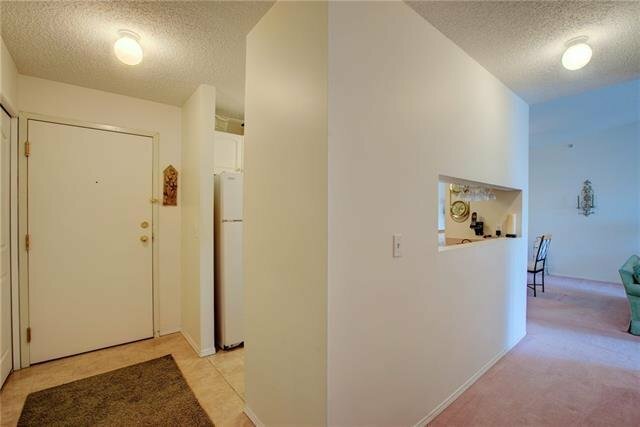 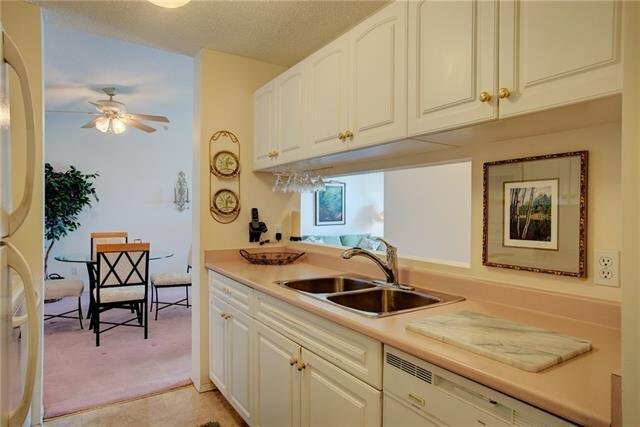 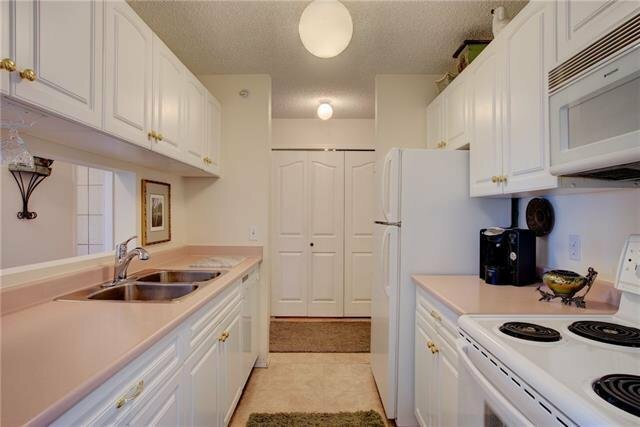 Close to lots of amenities & walk to transit. 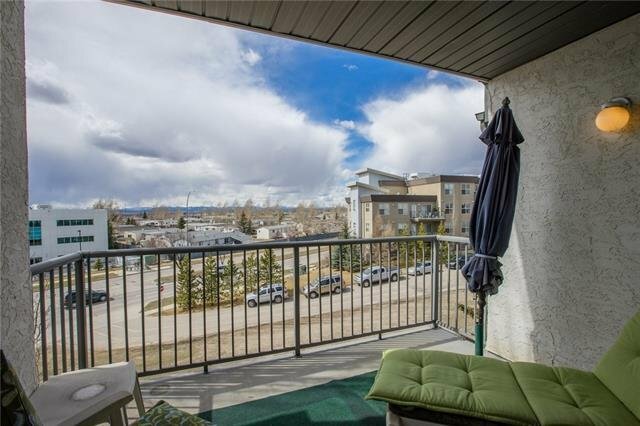 Arbour Lake privileges available! 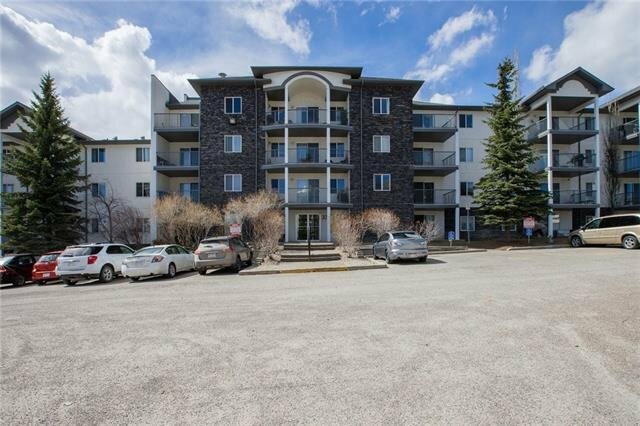 Arbour Lake is one of the best community lakes in Calgary! 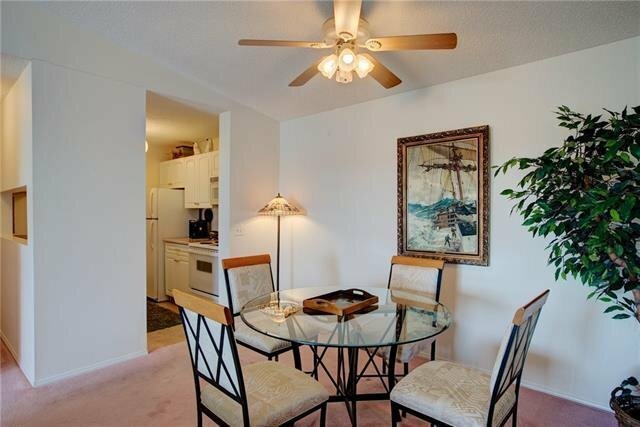 Great value - don't miss out!